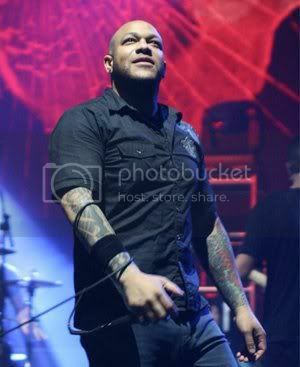 "To our family, friends and fans: We have decided to continue on without Howard Jones as the singer of Killswitch Engage. We love Howard and are thankful for the nine years that we've had him in the band. Out of respect for everyone involved we will not be discussing the specific reasons behind this decision. Howard is a part of our family and always will be, and we wish him well. He has left big shoes to fill, so we certainly have our work cut out for us to find the next singer of Killswitch, something we plan on making priority #1 going forward. Most importantly, thanks to all of you for all the support throughout the years and for sticking by us for all this time. We really do appreciate it and we very much look forward to having a new record for all of you in the not too distant future that we can all be proud of." Killswitch Engage's last album was self-titled and released in 2009.